The Company was founded in 1946 after the end of World War II. At the beginning it dealt with railway transportation and goods’ distribution in Livorno area and in Sardinia. In order to develop further the transport by sea from/to Sardinia, the Company’s founders Sirio Scardigli, Tullio Scardigli and Carmelo D’Angelo set up with other partners a ship owning company that owned up to 6 line vessels in the 50’s. When the Italian Government became a dominant competitor by providing national liner shipping services to connect the islands, Fratelli Scardigli’s vessels changed their routes to Libya and Tunisia. 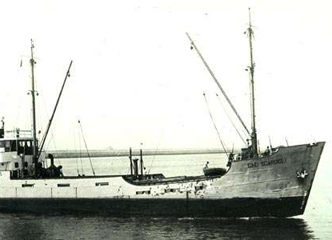 In 1970 Fratelli Scardigli gave up the ship owning business and focused on the international ocean freight services, customs brokerage, warehousing and distribution services. The Company developed its activity year by year paying special attention to provide high quality customized services accompanied by a good flow of information and IT EDI systems, thus allowing the acquisition of important clients like some main Italian chemical companies. Actually at the end of the 70’s the Company started to cooperate with the chemical department of ENI that changed later its name into Enichem Polimeri Europa, EVC etc. Despite many difficult periods and changes that characterized the Italian Chemical Industry, this business relationship has gone on until nowadays, becoming more than a traditional customer/provider relationship but a real long lasting partnership. Thanks to the acquisition of these important customers the Company grew more and more. With the second founders’ generation in 1989 it opened an office in La Spezia and another in Milan in 1995, developing at the same time a worldwide network of professional reliable agents, personally known by the managers. New large warehouses with efficient lifting equipments were built and the Company started to offer also transport services on behalf of third parties in order to support the sea freight forwarding sector that was the real company’s core business. The traditional policy of Fratelli Scardigli was always customer-oriented and especially aimed at offering a flexible service to meet all clients’ needs.